Cons: Accessories. 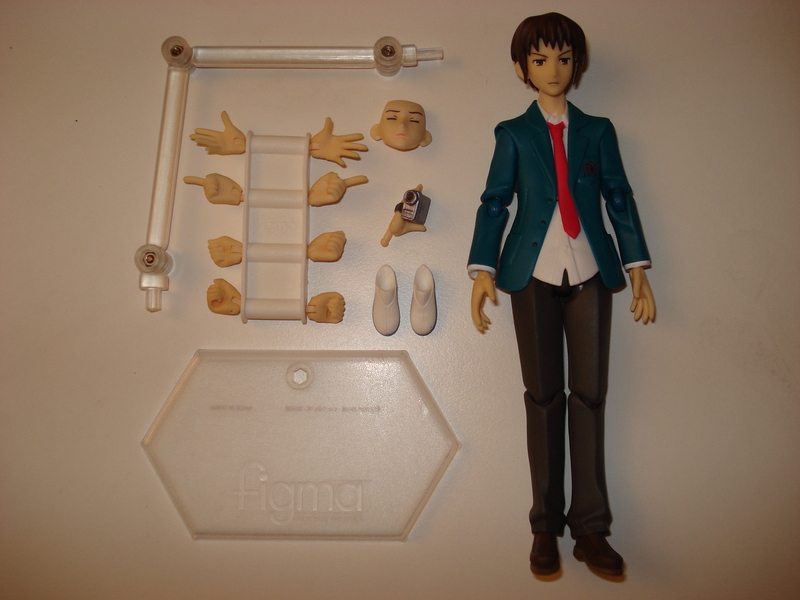 Granted, Kyon doesn’t really interact with many things to warrant more accessories than he comes with, but perhaps at least a SOS-dan room table or costume rack or something would add to the purchase price here. Maybe even the fridge! 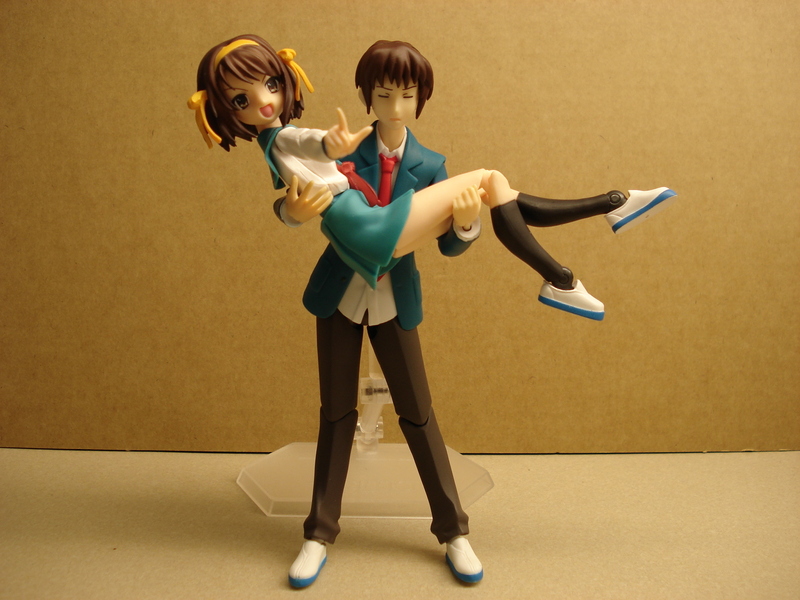 Oh well, maybe it’s because Kyon’s a guy that he doesn’t get the same treatment than the figma girls. 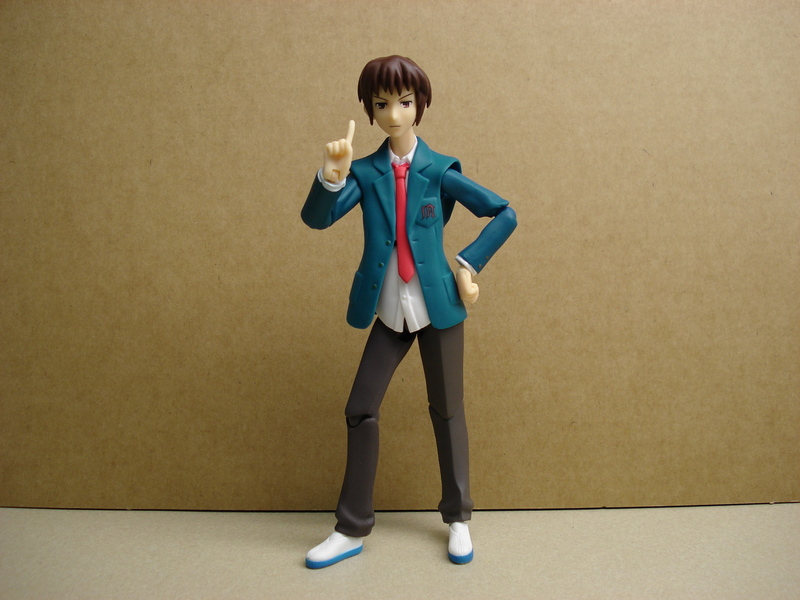 Kyon sells for roughly $25-$30 around the net. If you absolutely have to have the entire SOS-dan, then you should probably pick him up. However, I personally think this figma should’ve been sold with a lower price point since it doesn’t have as many features as other figmas. 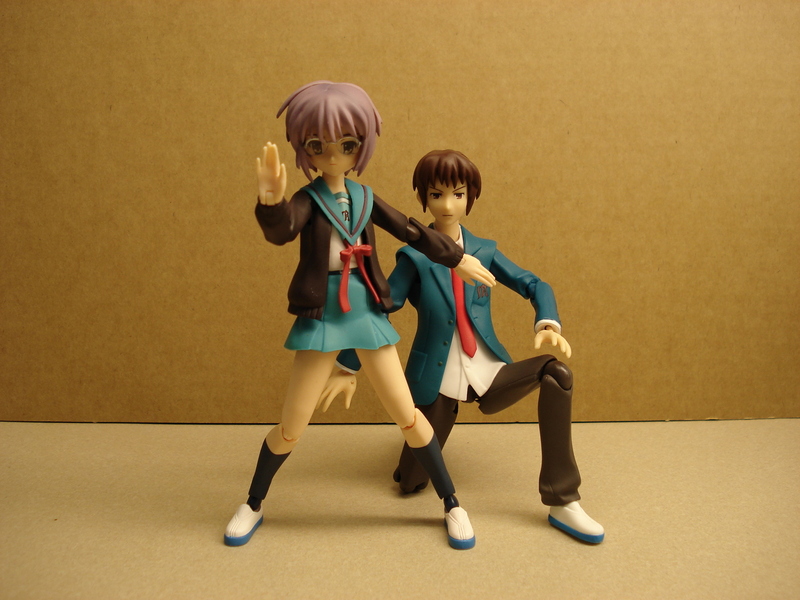 Man where did you found kyon ? i can’t find it anywhere available, its all sold out !! 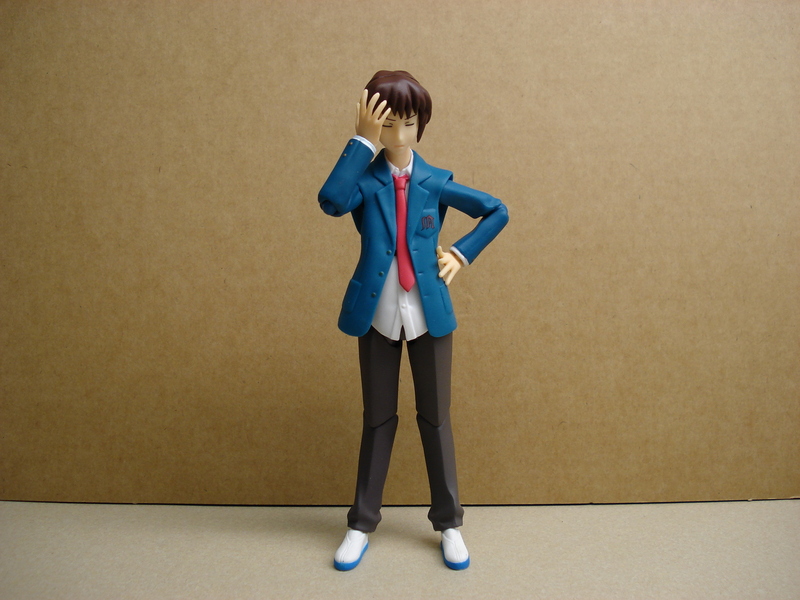 is the kyon figma supposed to be shorter than the itsuki figma? @Death: Yes, Kyon’s box came with a Kadokawa Pictures seal at the lower right of the front of the box; why do you ask? By the way did your box of Kyon come with a seal? 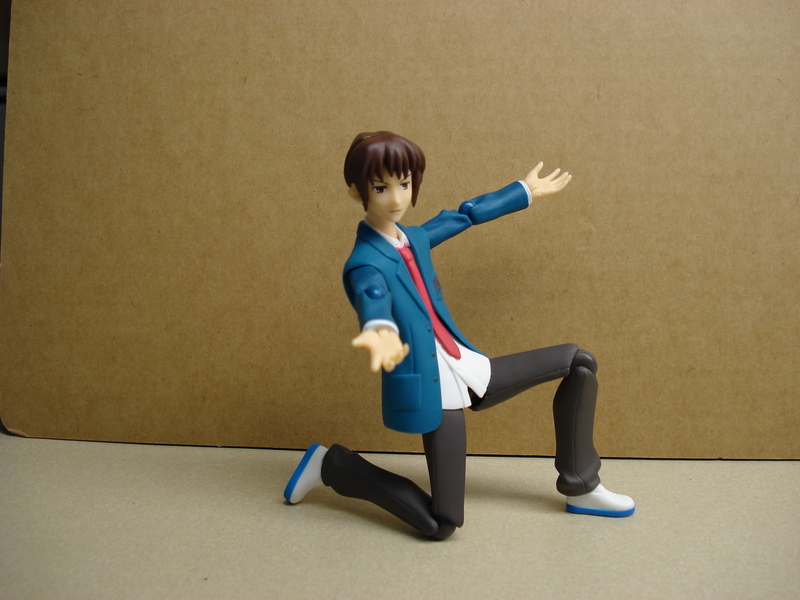 Haha I loved Kyon, but I admit he was kinda boring. He was SO rare to find around the area though, so I am glad I got him right away.